About - The Top Pharmaceutical Company in USA | Cipla USA Inc.
A global pharmaceutical company whose top priority is ensuring no patient shall be denied access to high quality & affordable medication and support. Cipla Limited is a global pharmaceutical company which uses technology and innovation to meet the everyday needs of all patients. For more than 70 years, Cipla has emerged as one of the most respected pharmaceutical names in India as well as across more than 150 countries. Our portfolio includes over 1500 products with 60 plus dosage forms across wide range of therapeutic categories. 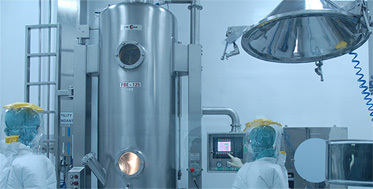 Cipla USA Inc., the US subsidiary of Cipla Limited, is based in Miami, FL. Our story in the US market started in 1984, when Cipla became the first Indian company to receive US FDA approval. Today in a tightly regulated environment, Cipla's 30 plus manufacturing facilities across India have been approved by major international regulatory agencies including US FDA, MHRA-UK, WHO, Department of Health-Canada, MCC – South Africa, ANVISA – Brazil, and PMDA – Japan. Cipla maintains world-class quality for its products and services across domestic and overseas markets, thereby ensuring that every patient has access to the best medicines in the world. Through a comprehensive partnership model approach, Cipla has been dedicated to providing access to medicines at an affordable price for over 30 years in the US. 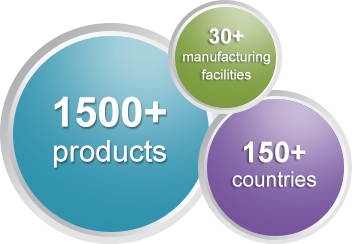 The company has executed over 20 US partnerships and currently has commercialized products in the US. Cipla has supported the development of more than 170 ANDAs. Cipla USA brings a variety of technologies to the US markets in order to keep its ongoing commitment to provide access to high quality complex products at affordable prices. Cipla aims to continue to bring its wealth of pharmaceutical experience to develop innovative products and advanced drug delivery systems to offer meaningful healthcare solutions to patients in the US.